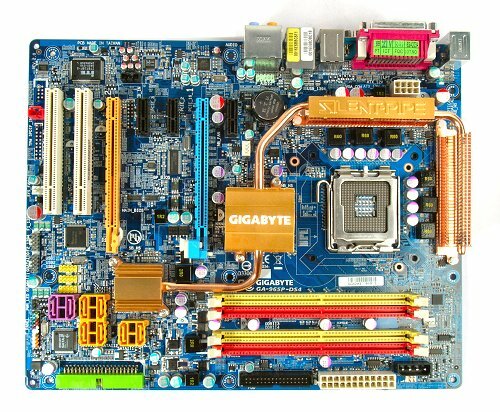 Very recently, Gigabyte updated their entire line-up of Intel 965 series motherboards to PCB Revision 2.0. This update happens to come after Intel kicked off their quad-core Core 2 processors (which we should see more of in the coming months). The new Revision 2.0 boards are supposed to be better optimized for quad-core processors, though the original Revision 1.0 boards support them just fine as well. So, is there any real difference between the full range of Revision 2.0 boards compared to Revision 1.0? Since we've reviewed the original versions of both the enthusiast GA-965P-DQ6 and the GA-965P-DS3 budget overclocker's choice in the series, we'll be taking the middle ground this time and take the GA-965P-DS4 (Rev 2.0) for a spin. Although the GA-965P-DS4 is more akin to the GA-965P-DQ6 in terms of features and positioning, the board comes with a pretty sparse peripheral bundle consisting only of the standard storage cables, driver CD and manual. You won't get additional USB or eSATA brackets with this board.